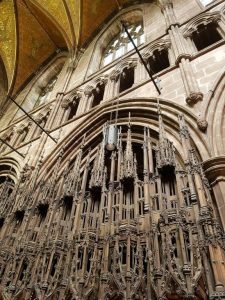 Chester cathedral requested a lighting design for three areas of the building with the aim of reducing the price due to its previous quote exceeding their budget, however it was imperative to keep the quality of the fittings to a high standard and as subtle as possible in order to keep in line with the traditional gothic style of the building. 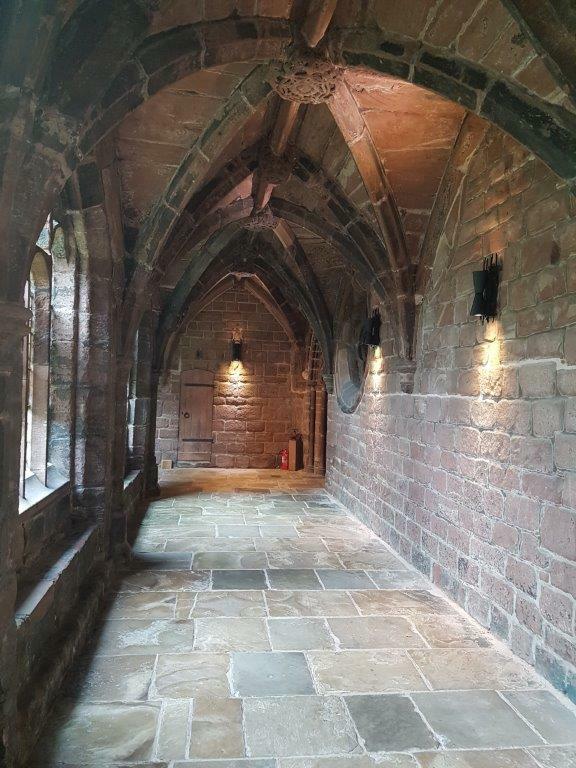 The three area's consisted of the Nave, The choir and the Cloisters. 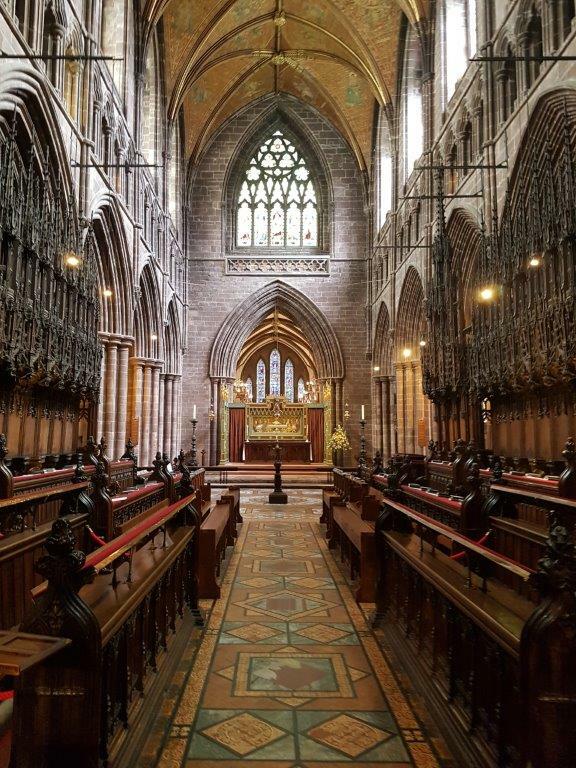 which is the main body of the building needed improved lighting for illuminating the window reveals, the ornate gilded ceiling and the main seating area within the Cathedral. 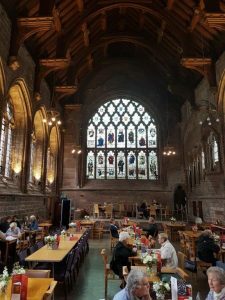 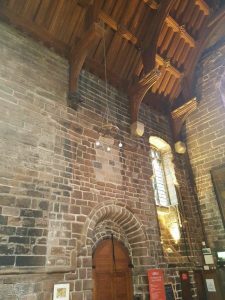 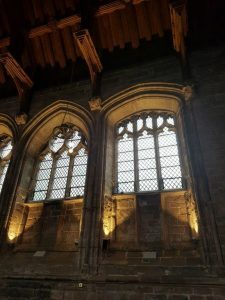 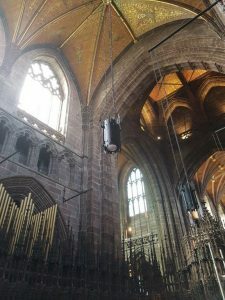 The fittings installed in this area of the Cathedral were a range of single and twin 32w 3000k up and down lights with a 40 degree beam angle, some of which included 3hr non-maintained emergency accessory kits. 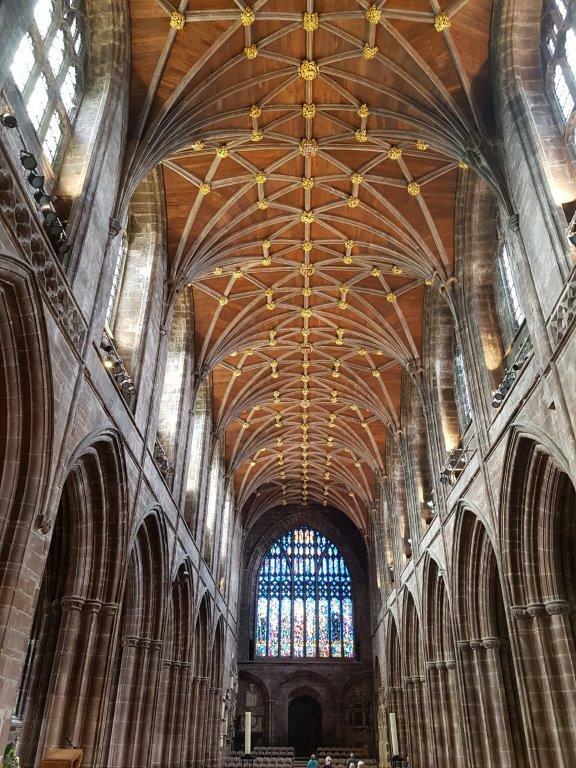 The choir was second of the locations CLLUK were asked to provide an improved lumen output scheme for the fittings already installed within the Cathedral, this required an LED conversion of suspended pendant enclosures, which currently had incandescent lamps in that wasn't providing adequate lighting for the choir. 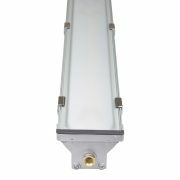 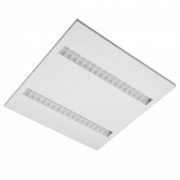 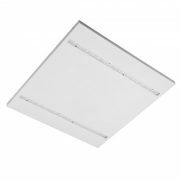 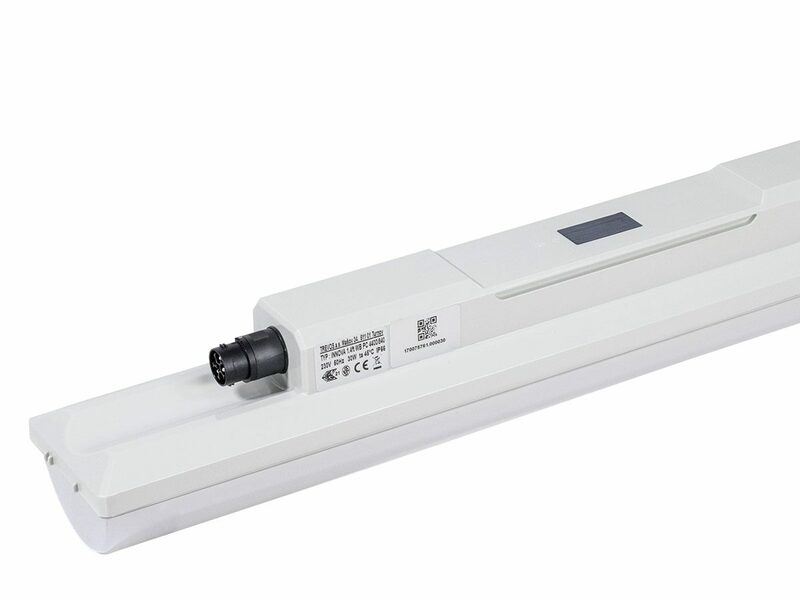 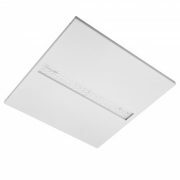 The conversion consisted of changing 10 x 100w lamps to a 21w 3000k LED alternative, saving energy and increasing the lumen output. 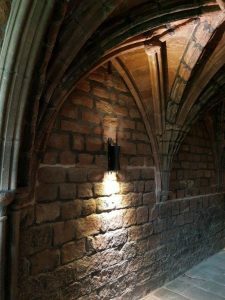 The third area that needed lighting was the Cloisters, the client requested functional yet discreet light fittings to illuminate the decorative arches and the walkways but to keep in line with the traditional gothic style of the church, we took the original fitting and adapted it into a decorative black up and downlight enclosure fitted with an Osram 8w GU10 lamp 2700k, the fittings also included 3hr non-maintained emergency kit accessory.